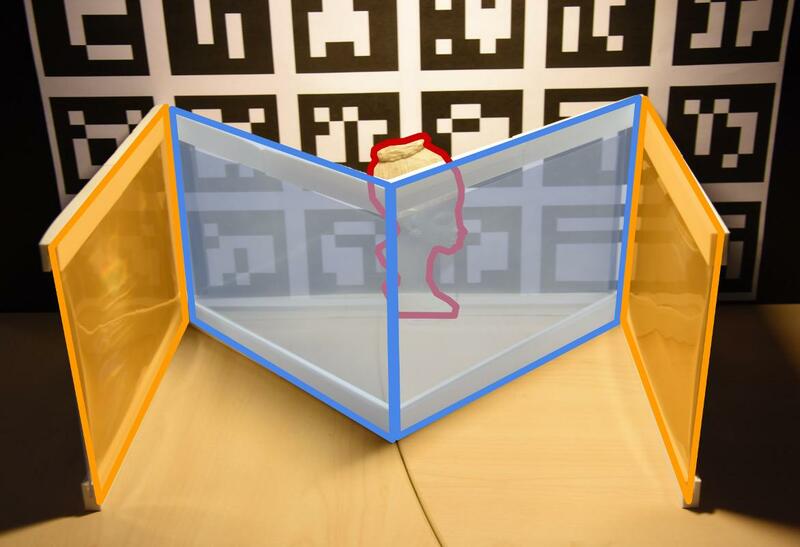 Abstract : Common spatial augmented reality techniques use video projection to superimpose virtual information over a physical scene. As the augmentation happens directly in the real world, multiple users can see the augmented scene, however, the augmentation is the same for all users. We introduce EgoSAR, a new approach that makes it possible to have a personalized, view-dependent augmentation, in multiuser environments. Our key idea is to use retroreflective material for the personalized experience, in conjunction with spatial augmented reality, by combining two different light paths. We implemented our approach in two prototypes combining transparency and either direct or indirect retroreflection. We present two different usage scenarios, show results, and experiment applications that such an approach may provide.